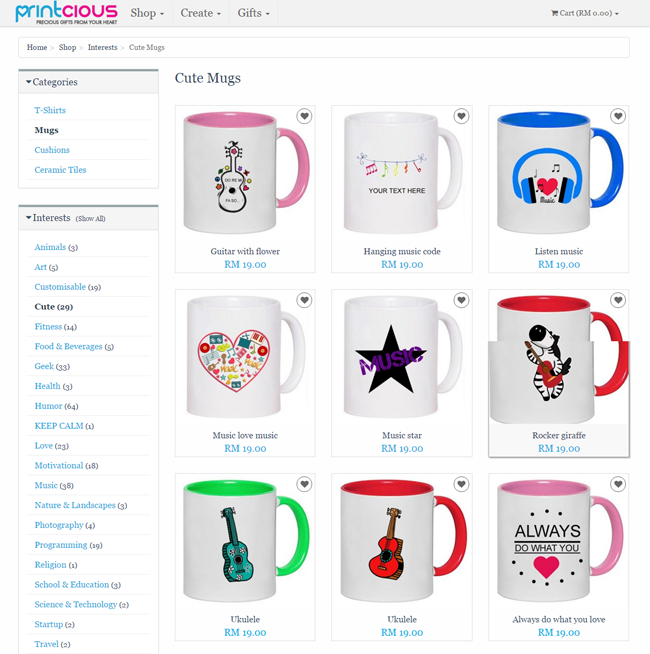 Printcious, Precious Gifts From Your Heart - Design & Gift Your Hearts to Your Loved One. 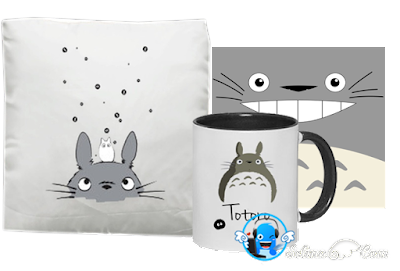 This is my sister' favorite Totoro, so cute. I will give it to her. You want to design on your own? Come to try Printcious! 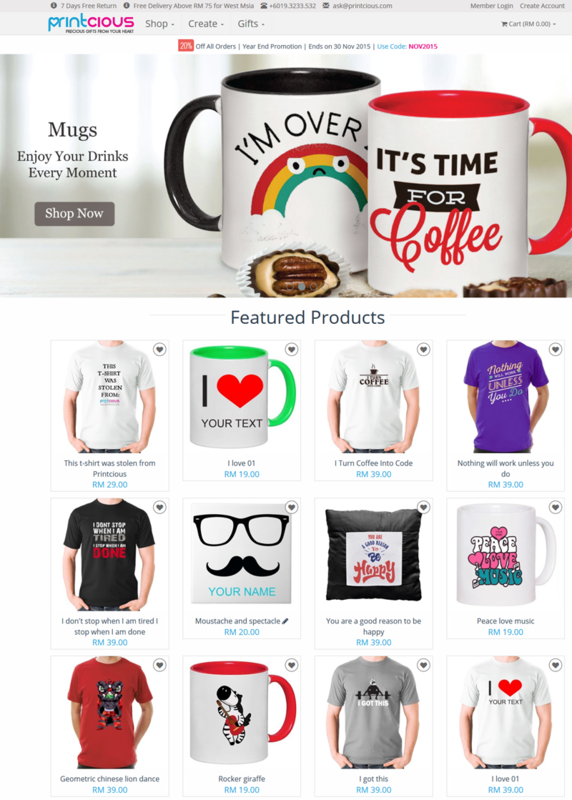 Printcious.com also carry the tagline, "Precious Gifts From Your Heart". Why? 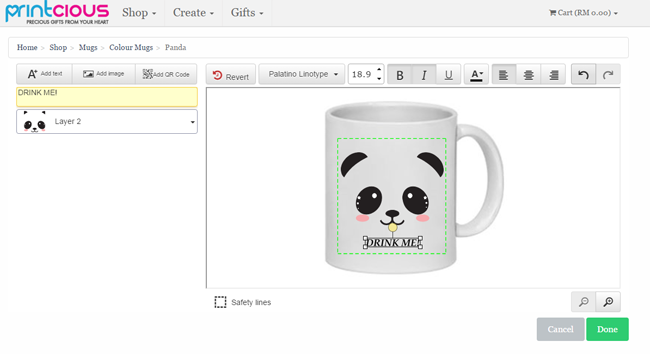 They want you to be happy when you are creating any gift that is customized to your exact needs and desires is simple, thanks to Printcious brilliant and easy to use custom made online designer. That is what Printcious help you to create the most precious gift which you can give to your important person with your honest, joyful sharing and pure heart. You can choose T-shirt or Mug or Cushion or Ceramic Tile. Just try one. 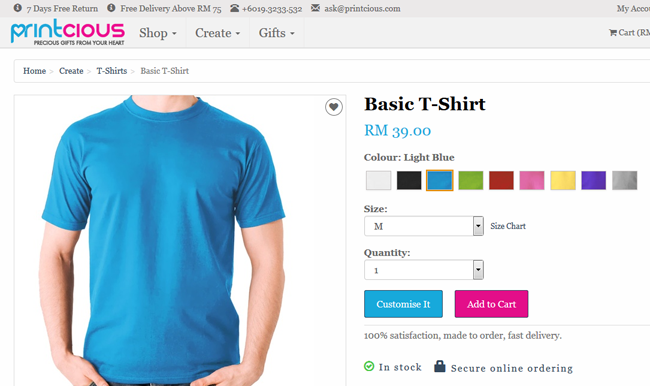 Choose your colour and size. Then, click on "Customise It". Just add my image; "I love you" with Selina Wing logo in the T-shirt. 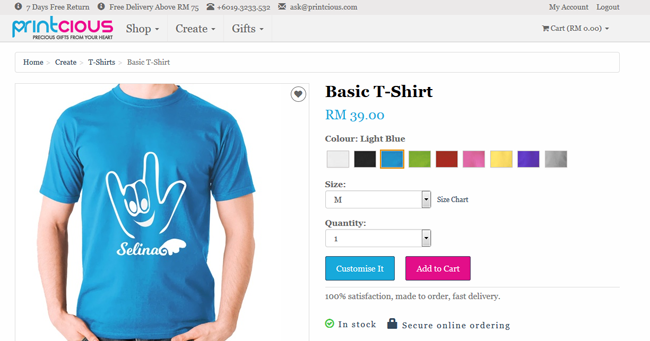 See the photo below; there are 9 color of T-shirt...I am happy when I saw my beautiful artwork on T-shirt when I choose my favourite colours! You can choose one pink or black or grey? I heard that they will add new, like the phone case or banners or more in the website soon! I also see a lot of interesting decoration and gifts which made by the Printcious designer. They also stock a raft of personalised gifts waiting for you to personalise with a name, a message or a photograph! Cool! Follow the Printcious facebook to get the special offers or the discounts which you never miss! You also can follow their twitter at https://twitter.com/printcious and Instagram at www.instagram.com/printcious for the latest products, news and giveaway. 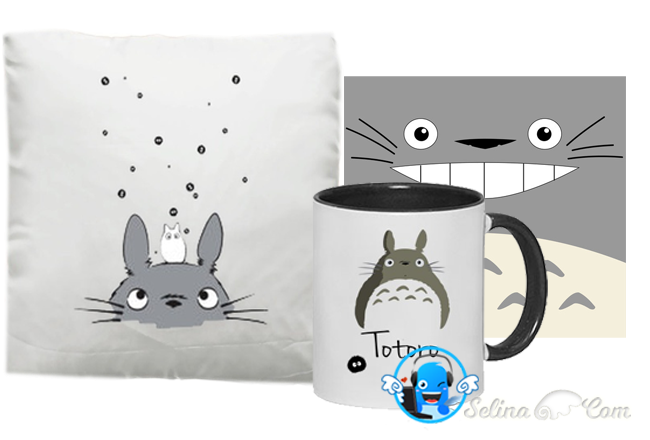 oh the totoro is cute! :D can't wait to see the real outcome of the gifts! really nice, now i can custom made my Christmas gift. mwahahhaa. I had printed mine. Love the artwork and the quality of the t-shirts. Nice design. Love it Selina.